Facebook FB +1.62% has found a new leader for its virtual reality endeavors. Facebook said on Wednesday that it hired former Google GOOGL +1.04% executive Hugo Barra to lead the company’s virtual reality efforts, which include Oculus VR. Barra, who will serve as vice president of virtual reality at Facebook, most recently worked at Xiaomi in Beijing and led product for the Android operating system at Google, now part of Alphabet Inc. In a Facebook post, CEO Mark Zuckerberg said Barra shares his belief that “virtual and augmented reality will be the next major computing platform.” Zuckerberg said he has known Barra since he helped build Google’s Android system. “It’s been a dream of mine to work in virtual reality even back when AR/VR were just figments of science fiction; now we’re taking selfies in virtual worlds,” Barra said in a comment on Zuckerberg’s post, which includes an image of Zuckerberg and Barra meeting in VR as avatars. The top leadership role at Oculus had been vacant since former CEO Brendan Iribe stepped down in December. Iribe now oversees one of two Oculus units, and Barra will manage virtual reality efforts across the company. 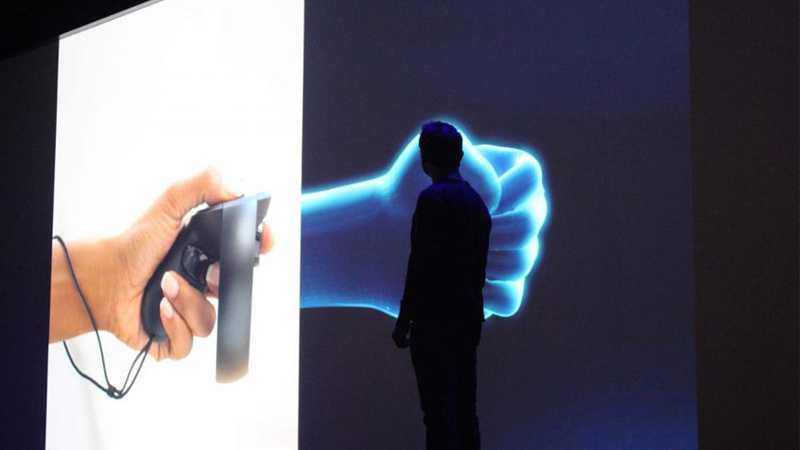 Oculus’ path hasn’t been without its bumps. Shipments of its Rift headset had hiccups last year. And during the U.S. election cycle, Oculus cofounder Palmer Luckey came under scrutiny for donating to a pro-Donald Trump political organization called Nimble America. Most recently, Zuckerberg testified in a Dallas court earlier this month in an intellectual property case against Oculus. Facebook acquired Oculus for about $2 billion in 2014. Even though it may take years for virtuality to become mainstream, Oculus has become a leader in the space, competing with the likes of Alphabet’s Google, Microsoft MSFT +0.24% and Sony . And virtual reality, one of Zuckerberg’s passions, could become a major revenue stream for Facebook in years to come. In the fall, Oculus said it will commit an additional $250 million to fund a range of new content, betting that “great software experiences” are the next frontier of VR, an addition to the $250 million Oculus has already pledged to content development. Also in October, Facebook said it is building a standalone, affordable VR headset that isn’t tethered to a PC like the current Oculus Rift.